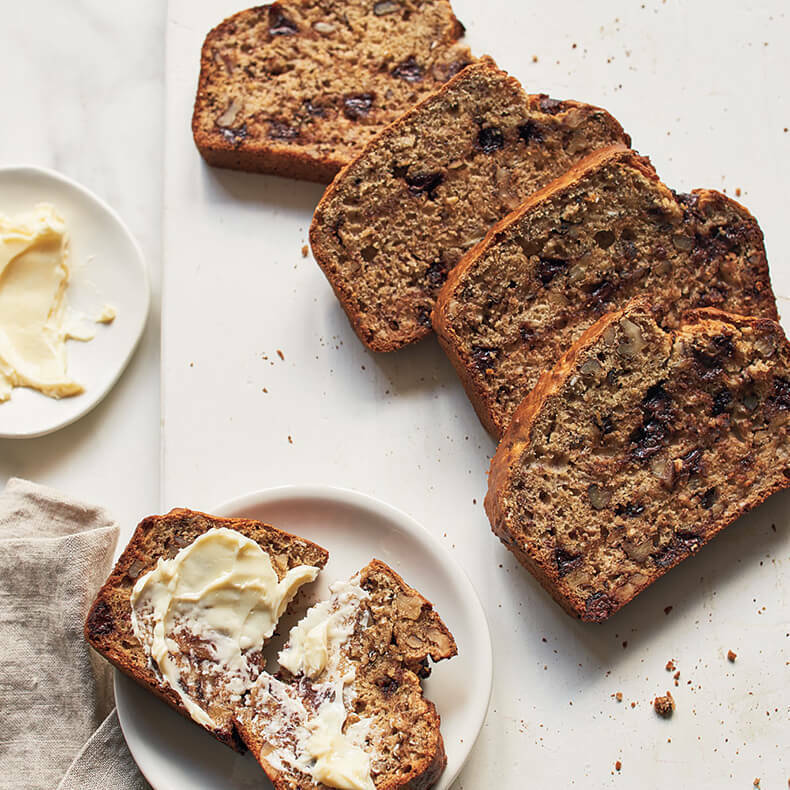 This old fashioned date-sweetened bread makes a much-appreciated holiday gift because it holds up well for several days and is a wholesome breakfast treat. This family recipe came from my husband’s aunt Sophie Ritthaler. • Sprinkle baking soda over dates. • Pour boiling water over them, stir well and let cool. • Cream butter and sugar. • Add eggs, flour and dates alternately. • Stir in nuts and vanilla. • Place batter in 2 greased loaf pans and bake at 325 degrees for about 1 hour.